Well, choosing this wine of the month was a challenge with all the new wines that we have released this Summer! Announcing our NEW 2016 Tempranillo from Lodi which is an exceptional addition to our ever growing selection of signature, hand-crafted wines! Before crafting this wine, I did some research as to what profiles I wanted to spotlight and honestly, this wine came as a huge surprise! The fruit comes from the Bokisch Vineyard which produces some of Lodi’s most outstanding Spanish varietals. The resurgence of Spanish varietals has pushed the envelope of the Lodi AVA and helped Wine Enthusiasts Magazine declare Lodi as the 2015 AVA of the year! Especially for Spanish Wine aficionados! This outstanding 2016 Tempranillo is an exceptional wine with a huge flavor profile. The front palate consists of the traditional cherry profile, while the mid palate comprises a framework of spice, tobacco, cedar and a hint of clove. Aged in high toast French oak this wine has an overall structure plus a tannin note balanced evenly with acidity right to the finish……...a masterful BOMB!!!! Although it has only been released for about a month, it has become our top seller in the tasting room. Wine is a journey worth making - especially when you’re involved with all the production! It is a pure joy to develop wine programs for our DLC family and friends. Get ready because as I have spoken to several of you in the Cellar, many new wines have come out this summer so please, don't forget to use your tastings to join in on this flavorful journey with us! This next month we will be releasing our new GSM, a very scrumptious new reserve Chardonnay, Petite Sirah and many, many more! Don’t forget to promote us on Social Media as your positive feedback helps us grow our business. As we continue to grow, we will be changing our approach to announcing our release dates of new wines for your enjoyment. DeLiese Cellars is excited to host Paint & Sip Night at The Cellar with Color Mi Vino on Thursday, August 16th, from 6pm to 8pm. The Tasting Room is open at 4pm so feel free to come early! Create your masterpiece of “Wine O'Clock” while enjoying fine wines and having fun. Tickets are $35 and purchase includes all supplies for this painting event. 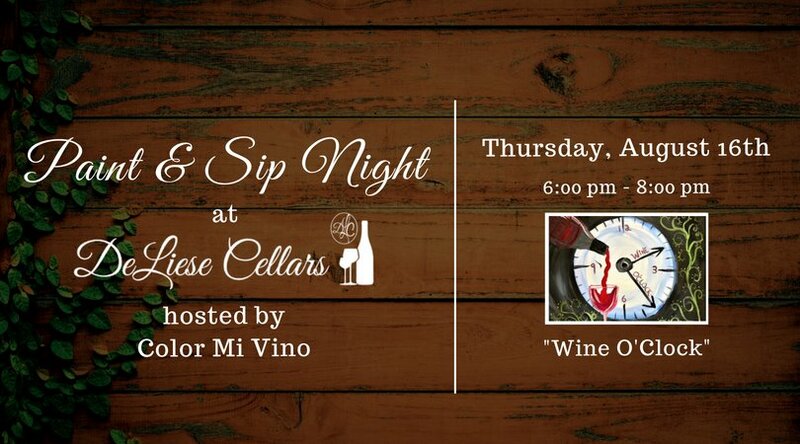 Wine Tastings are $15/flight, and a discount of 20% off glass & bottle wine purchases will be offered to guests. 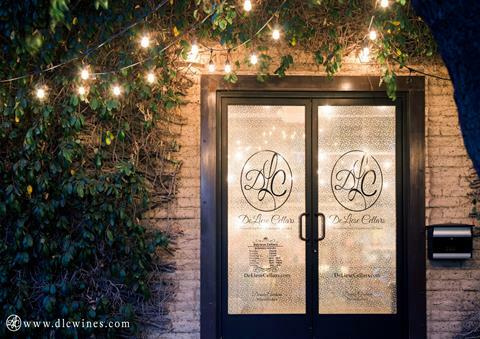 Join DeLiese Cellars as they come together with other local Wineries and Craft Breweries for the 805 Wine & Brew Fest! The Live Music will be IGNITION a local 805 band - that will surely get you dancing! 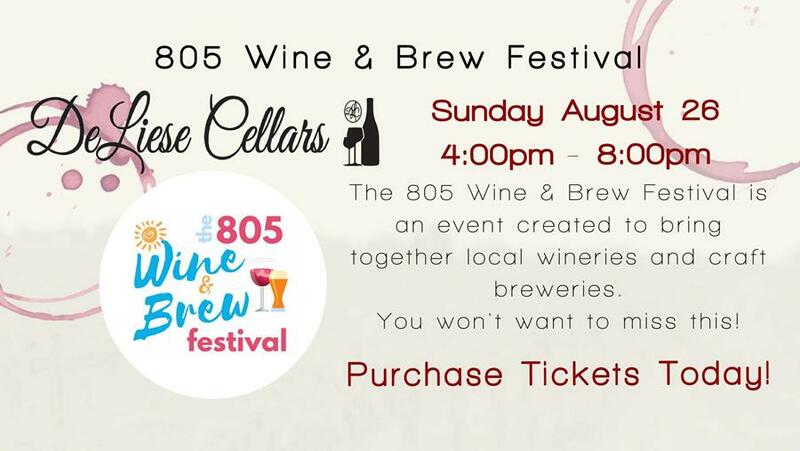 805 Wine & Brew Fest will feature unlimited samples of Craft Beer and Wine, Delicious food catered by Los Robles Greens, and a variety of Fine Art & Craft Vendors. The Wineries and Breweries include: Four Brix Winery, Ascension Cellars, Strey Cellars, DeLiese Cellars, Treasury Wine Estates, 14 Cannons, Wolf Creek Brewery, Westlake Brewing, Five Threads, and The Dudes Brewing. Use code WINERY for $15 off your ticket! 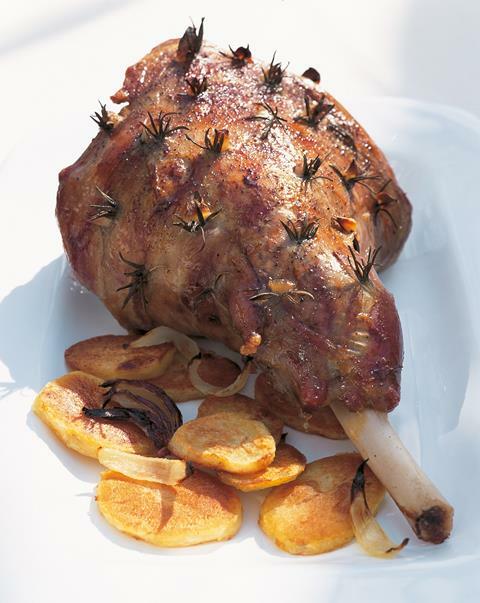 Roasted leg of lamb is seriously delicious, but the key is what your basting it with! For this food paring I recommend rosemary, garlic, mustard, and honey! You can overindulge in the honey which is a great bridge in flavor profiles for the Tempranillo. This dish does not take long to prepare (20 min) and then about an hour on the grill. Please, serve this medium rare to get the full experience!